Does it seem like I am starting off a lot of my posts lately with an apology? If so, it's because it feels like I've fallen off the wagon of things I should be doing (and stopped doing) because life interfered. One of those areas is the book reviews I pledged I would do more of this year. It's gotten so bad that I had to basically tell a number of publishers to hold off on titles they send to me until I can get through my back log. Don't get me started on the figurative stack of Python books I'm looking at right now (I can't say literal because they are PDF's, but trust me, there are a lot of them!). Also, as many of you well know, I do not do short reviews ;). At this point in time, programming for the web is a multi-faceted endeavor. There are so many choices and approaches that can be used, and technologies that can be called into action, that it is impossible to master them all. Gone are the days of basic HTML and some CGI scripts being all you’d need to deliver a web experience. Don’t get me wrong, there are still sites out there that are basically this simple, but they are outnumbered by sites that offer much greater interaction, customization and the ability to display on multiple platforms. To do that effectively, more is needed. The challenge with most web development books (or programming books of any type, actually) is that it takes several hundred pages to cover everything needed, or the books end up being lean and abstract, with the reader having to do a lot of their own research and tinkering to create examples of their own or make the samples provided work. So how well does Paul traverse this formidable mountain range of topics? Part One of the book focuses on the central elements of a “stack” that allows a web site to exist in the first place, and gives an overview of the technologies that work with that web server. Chapter 2 focuses on the basics of HTML and the most common tags used for markup of pages. Rather than give an exhaustive run down of all the tag elements, Paul gives us the ones that are the most useful and likely to be used when developing a basic site (headings, paragraphs, links, form elements tables and divs, which are best described as self contains rectangles of HTML). Paul also makes the distinction between the structure of a document (which is done with HTML) and the styling touches, which are handled in the next chapter. Chapter 3 covers what Paul feels are the most useful aspects of CSS, which is all about the syntax that affect the overall look and feel of your pages. The structure of the box model is central to CSS and being able to manipulate the data in a variety of boxes (often the aforementioned HTML div’s) helps to keep the style elements both contained and optimally configured. A recommendation for the use of Firebug or Development Tools in your respective browser is also recommended, as there are a lot of possibilities within CSS and ways to apply them. Chapter 5 introduces PHP, which is a language designed specifically for server side interactions. Again, like the previous chapters, this section focuses on what most users would need to make something work on the server using PHP, not a complete rundown of the syntax. This chapter also goes through the basics of what you need to do to check if your web host is set up to support PHP and what to do if it isn’t. Chapter 6 adds more about PHP, specifically in conjunction to working with a MYSQL database. The chapter starts with a basic understanding of databases in general ,and then MySQL in particular. It introduces the way that databases work and how MySQL fits into the web stack. phpMyadmin is covered as well, which allows you to administer a SQL database via the php utility. It also walks the user through several commonly used database commands and fundamental queries. Part II of Practical Web Development aims to help us break away from the model of multiple pages where a few will suffice, and to get away from static pages to those that are more interactive, dynamic and responsive to the platform it is being displayed on. Chapter 9 covers THE HISTORY API, which becomes very important when you start creating a site that is based primarily around a single page. rather than direct a user to the previous site they were on before coming to ours, the History API allows the users to navigate back to states of the page, or to allow for a bookmark URL to represent the state of the page bookmarked. Chapter 11 introduces us to MONGODB, which is a type of NoSQL (not relational) database. It’s more readily known as a document database, and it stores JSON objects that are grouped into collections. Web applications are capable of communicating with the MongoDB using PHP. Part Three of the book moves away from the underpinnings of the technology and deals with methods that help the loo and feel of the users experience, regardless of the platform being used. An Appendix section describes BOOTSTRAP - AN ALTERNATIVE TO FOUNDATION. The same exercises Paul described in Chapter 13 he tackles here, but uses Bootstrap.JS. It meets a similar goal, i.e. making a mobile-first, responsive site without having to reinvent the wheel to provide the responsive part. 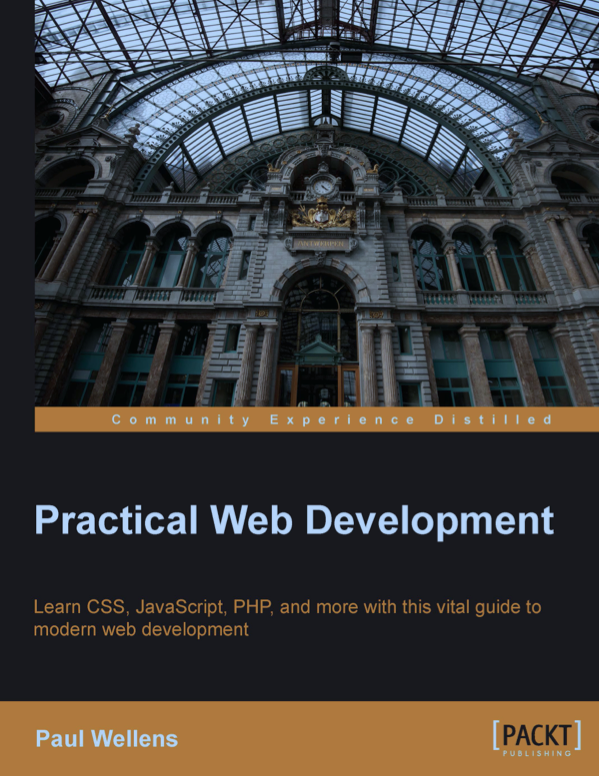 The title of the book is Practical Web Development, and a special emphasis needs to be placed on the “Practical” part of the title. Paul has strived to make a book that is accessible, easy to follow, and lean enough to be usable without getting the reader lost in the weeds. I’ve long been looking for a book that would be a soup to nuts title, one that could be the starting point for someone to start with developing for the web, and have a single source to get up and running. Is this that book? It’s pretty darn close! There’s lots of additional areas that could have been covered, but to his credit, Paul has made a title that hits the high points, and a few divergences that are interesting if not mandatory. 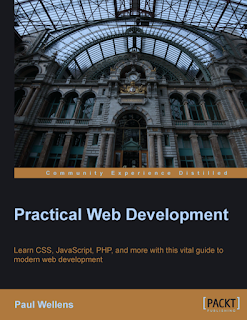 For a lean and straightforward primer on modern web development approaches, this is a great place to start.